The U.S. House has passed universal background checks. Now the U.S. Senate must vote on it. Senate Majority Leader McConnell, however, won't call that vote unless he is forced to. SIGN NOW to tell your U.S. Senators to co-sponsor the Senate universal background bill (S. 42). The more co-sponsors on the bill, the harder for Mitch McConnell to not call a floor vote. The U.S. House has passed universal background checks on gun sales. Now it's your turn. 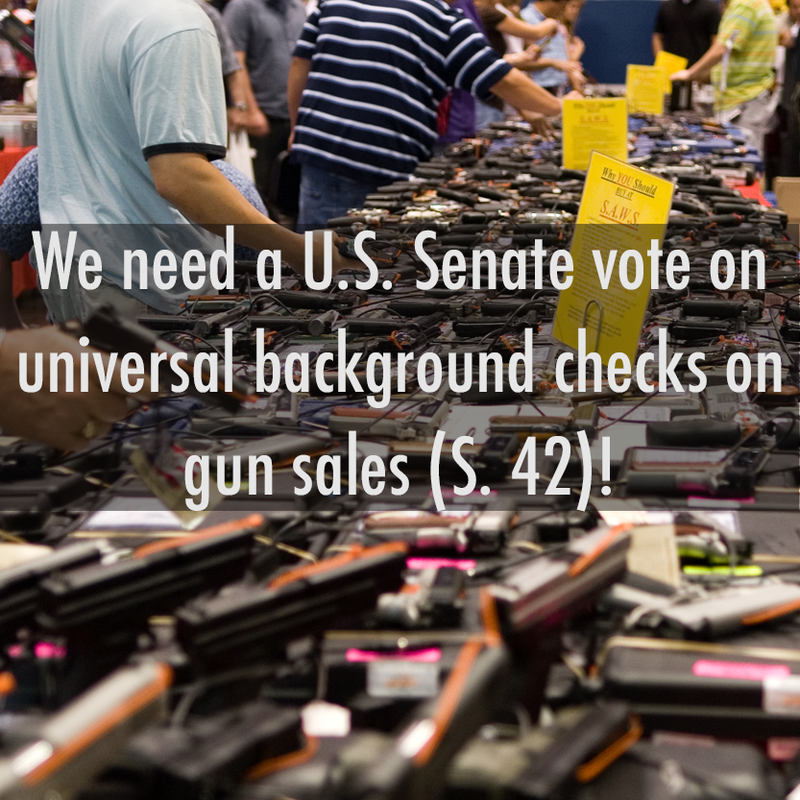 Please co-sponsor the universal background checks bill in the Senate (S. 42), so that Senate Majority Leader Mitch McConnell will bring the bill to a floor vote. Gun violence is getting worse. Guns now take the lives of up to 40,000 people every year, a record high. They are now the second leading cause of death (after car crashes) for children aged 19 and younger, and school shootings are becoming more common and more deadly. We are sick with worry for the safety of our loved ones and our communities. We can't wait - we need comprehensive action NOW to fight the gun violence epidemic, starting with universal background checks. With public support for universal background checks as high as 97% in recent polls, every member of Congress should be supporting this commonsense measure to reduce gun violence!